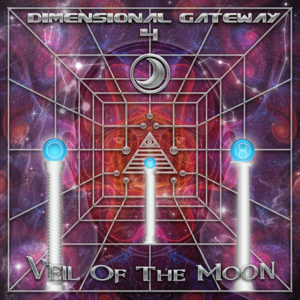 This new chapter in the Dimensional Gateway series, Veil Of The Moon, ritualizes the annular Solar Eclipse wth Goa trance over three different stages, making for the most fitting soundtrack to this event. Even though it has been more than four years since the last Dimensional Gateway compilation appeared (and in the meantime, the team behind Neogoa Records introduced other interesting ideas and concepts on releases such as The World Beyond, Svemirski Hod, and Celestial Transvibrations), this moment is perfect to return to our own roots and unleash fresh works by some new projects, but also welcome back a few of our contributors from the early days. Veil Of The Moon offers plenty of darker and acidic vibes, but yet it keeps the melodic aspect present in competent and solid Goa trance form. Mastering by Igor Čeranić at Deimos Soundlabs with artwork design by Richpa at Neogoa Design. MP3 Download | FLAC Download | WAV Download · Download count: 23,330. I remember Dimensional Gateway 2, from way back. That album had awesome tracks on it, and the album artwork was beautiful. I look forward to listening to this compilation in greater depth. Please do not hesitate to contact me with any comments. The link to the video is below. Thank you. An absolutely beautiful compilation! Well worth the 5 year wait! Thank you so much for this wonderful music. This is amazing! Thank you alllllll keeep theee vibrationallll truthhh comiiingggg…. I thank Neo-Goa for this brilliant work ..
I’m happy for all of this. is this real or am i tripping? amazing.. Pardon me for double commenting, but I just want to say that the progression of each of the 3 acts is just extraordinary! I can’t stop listening to this compilation, it might be one of my favorite Goa compilations of all time. the track “It’s Alive” is amazing. ….Je découvre Cybernetika (surtout)…Proxeeus et Negans…Le pied!Tout simplement. Great album all around, but Clementz – Black Dwarfs is blowing my mind! Thank you.